Are there good reasons to test the soils for your lawn? Soil Nutrients. Lawns grow best when the nutrients that they need are present in the right amount and in the right balance to each other. If nutrients are lacking, supplements can be added to optimize plant health. When the soil nutrition is known, fertilization can be adjusted to provide the right amount of nutrients and to not waste unneeded ones. Soil Acidity (pH) – nutrients can be available or unavailable to the plants depending on the acidity of the soil. Prevent pollution- excess nutrients that are not needed may move out of the soil into ground water or into streams. 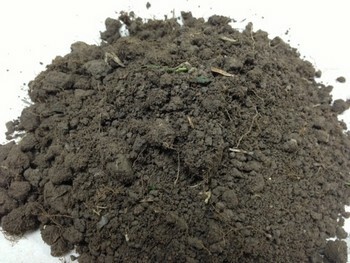 Underlying subsoils- the mineral content of soils will depend on the soils beneath. Also, in some new subdivisions, the topsoil is removed, and only a minimal amount of topsoil is added prior to sodding. Plant Health- healthier plants will have less need for pesticides and fungicides. Over fertilization can cause growth that is more susceptible to disease and insects. Excess toxins. Sometimes, areas near roadways or walkways may have excessive salt from ice melting. The salt levels in soils can be measured and corrective measures taken to improve plant health in these areas. Soil testing is especially important when lawns are not responding to a regular program. Laboratory testing helps to provide a baseline for further refinements to nutrient programs. Testing can be repeated in two or three years to measure progress.